For our third camping trip of the summer, we met up with Eddie, Laurence, Andrew and Thomas in the Peak District. Our base was Upper Booth Farm near Edale at the start of the Pennine Way. Our first stop in Derbyshire was Bakewell - to stock up on essential provisions from The Bakewell Tart Shop - before heading for our campsite at Upper Booth Farm, a National Trust property near Edale. 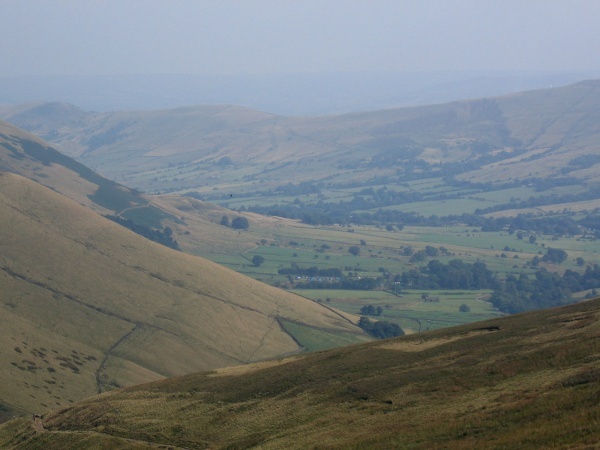 The Pennine Way starts in Edale, about a mile away from Upper Booth Farm, and runs right through the campsite. It carrys on for about 270 miles to the Scottish Borders, so we made an early start!